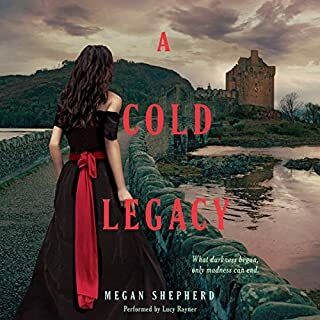 After killing the men who tried to steal her father's research, Juliet - along with Montgomery, Lucy, Balthazar, and a deathly ill Edward - has escaped to a remote estate on the Scottish moors. Owned by the enigmatic Elizabeth von Stein, the mansion is full of mysteries and unexplained oddities: dead bodies in the basement, secret passages, and fortune-tellers who seem to know Juliet's secrets. Though it appears to be a safe haven, Juliet fears new dangers may be present within the manor's own walls. such excitement the entire time! ending did not come abruptly, questions answered! enjoyed the narrator throughout the series, great voices!